I planted 3 Sweet 1000 cherry tomato plants. 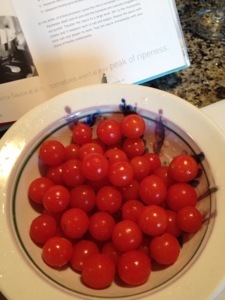 So I have tons of wonderful sweet cherry tomatoes. The solution to that is fresh Checca Sauce. This recipe is adapted from Giada DeLaurentis – Everyday Italian Cookbook. 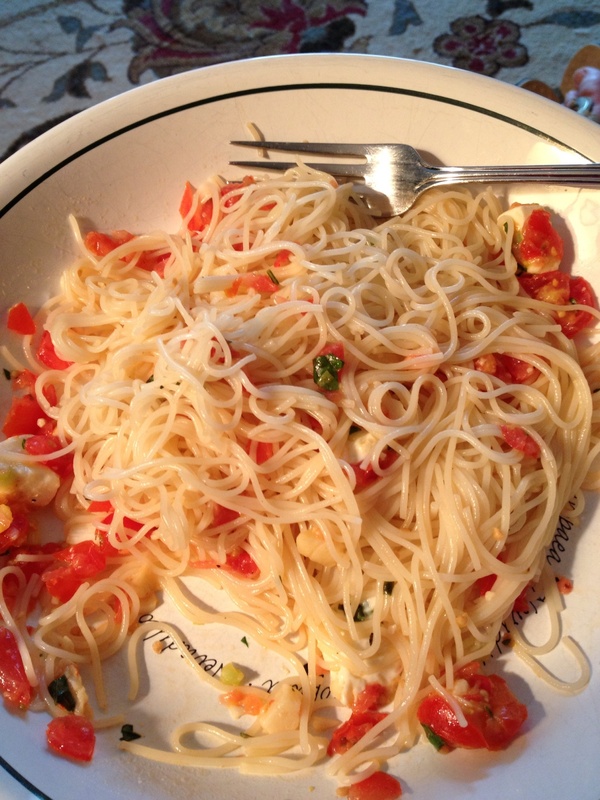 It uses a lot of cherry tomatoes and it is fresh and delicious. 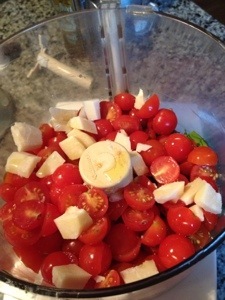 In a food processor, pulse first 6 ingredients, just until tomatoes are coarsely chopped – do not purée them. Transfer to a bowl and add mozzarella cheese and salt and pepper. Toss the sauce with cooked pasta immediately.